18 photos of this funicular in the Scottish Highlands near Aviemore. Welcome to Cairn Gorm! Thurs 28 May 2015. Cairn Gorm's summit is lost in cloud in this south easterly view from Loch Morlich. 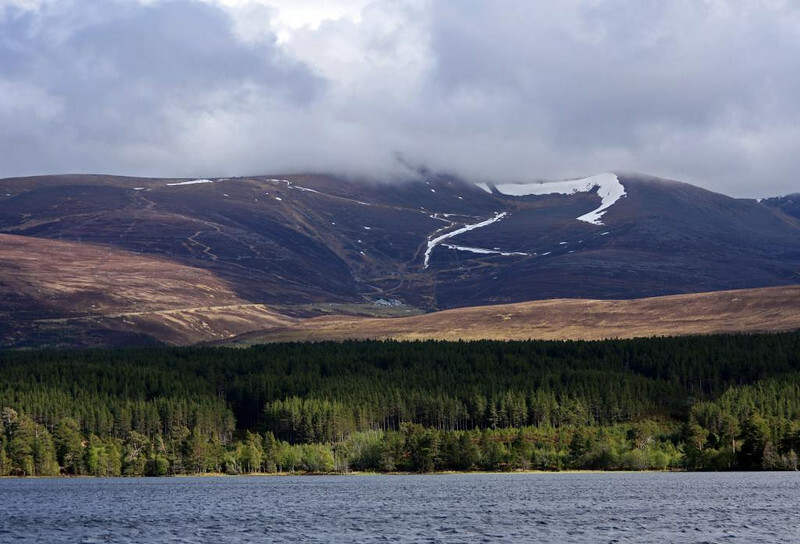 The 4084 feet / 1245m peak has given its name to the range of mountains east of Aviemore although it is not the highest. The north western side of Cairn Gorm seen here at centre is used for skiing, hence the need for the funicular.